There are the obvious, often-quoted, historic leaders like Nelson Mandela, Mahatma Gandhi or Martin Luther King – the list is pretty long. You’ll find bookstores and libraries full of books by them, and about them. They’ve even had movies made about their lives and exploits. In the recent times, tech gurus like Mark Zuckerberg, Bill Gates and the late Steve Jobs have taken over as most quoted leaders of the 21st century. Search for their names on Google and you’ll find countless resources about them. In this blog post, we will not only talk about the inspirational, real-life stories of these leaders, but also look at those personalities who are lesser known, yet they continue to leave a strong mark on the leadership platform. These are the people who have led from the front, with courage, determination and are great role-models for their leadership qualities. Your might remember the water landing of US Airways Flight 1549 right on the Hudson River, New York. 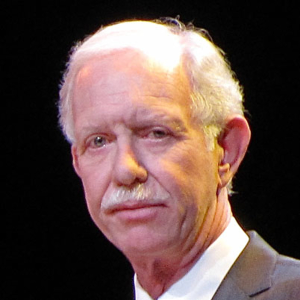 Chesley Sullenberger, popularly known as Sully was the celebrated pilot of the flight. The flight suffered from complete engine failure minutes after take off when it hit a flock of geese. Despite the incredible risk involved, Sully managed to land the airplane in one piece, saving the lives of all 155 passengers and the entire flight crew, engraving Sully’s name in flying history. At a later interview with CBS News, when asked how he managed to keep his calm, Sully mentioned that his focus was intensely on the landing. “I was sure I could do it,” he replied. What do we learn? Just for a split second, imagine what tragedy could have unfolded if Sully had not kept his cool and panicked. He was prepared for the moment, making sure nothing was a surprise. Sully’s command of the situation teaches us all to remain calm and composed, no matter how critical the situation – a cool head is essential to maintaining the focus that a leader needs. 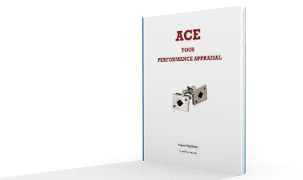 Only without panicking can you remain focused enough to ensure well-being of the team. Your calm nerves will also put the confidence of your team in you. As a leader, you should never let stress get the better of you. Dean Nelson is the owner of Dean’s Natural Food Markets. This chain of stores has been opened with the genuine desire to help people get healthier. His brand is providing the highest quality organic foods and natural products with the intention of the betterment of the environment and the community coming before the company profits. These stores focus on offering excellent customer experience while at the same time also supporting numerous local causes. As of now, Dean’s Natural Food Markets has four stores in New Jersey, managing over a hundred employees and thousands of happy and healthy customers. What do we learn? Dean’s story tells us to always follow our passions and strive to make them a reality. Dean is on a mission to impact people in his locality to adopt a healthier lifestyle. He focuses on marketing his products in such a way that attracts more customers to change their habits. His story tells us that even an everyday person can be a good leader is s/he uses the right management skills and is driven by passion and not just profits. 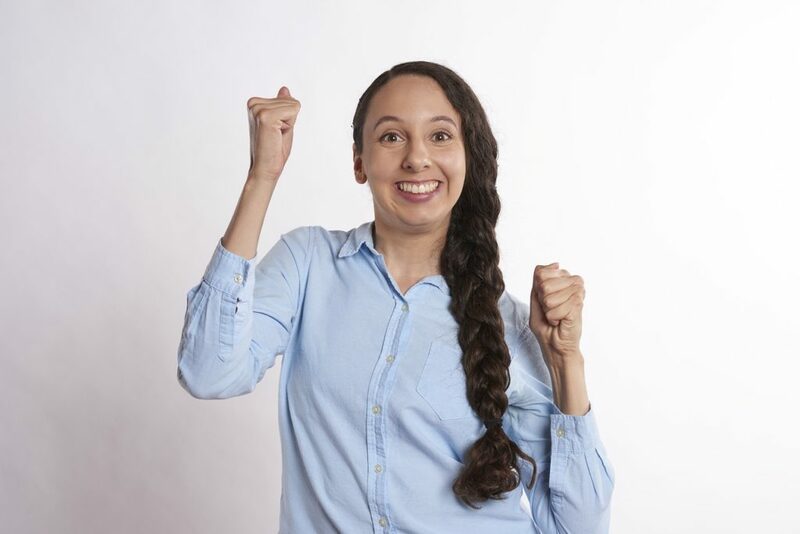 Believe it or not – this lady set up the Acumen Business Law Firm literally on a shoestring budget, right at the time of recession and faced with a life threatening illness! The company has grown up to become of the top 50 innovative law firms in the entire United Kingdom and Europe. Writer of The Freedom Revolution, Penina is celebrated around the world for her desire to create a difference in the legal industry. The incredible success of her law firm lies in her vision for the company, her passion for her work, innovation to stand out and perseverance to continue following her dreams despite any adversary. What do we learn? Penina’s story teaches that if you are a true leader, there is no running away from taking risks in your life. Only when you take the risks can you explore the big opportunities. Her story also teaches that you need to have a clear vision to be able to manage a business successfully. It is important for a leader to be able to provide the same level of purpose and clarity to the entire team for each team member to be able to work cohesively and in collaboration. You must have faith in your convictions because by the end of it all, what matters is what you achieve in the end. Field Marshal Sam Hormusji Framji Jamshedji Manekshaw, MC, more popularly known as Sam Bahadur served as the Chief of the Army Staff of Indian Army during 1971’s Indo-Pak War. 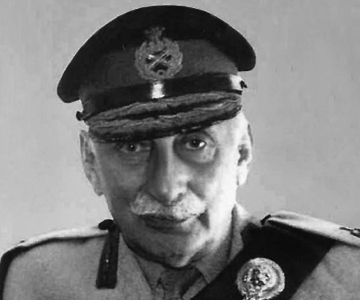 Sam Manekshaw was the very first Indian Army officer to be promoted to the Field Marshal rank. While his stories of valor and greatness are indeed inspiring enough, Sam is celebrated for being a great decision taker and a person with untiring desire to gain competence for true leadership and professional knowledge. He has been an advocate of doing your profession justice, no matter what you do. According to Sam Manekshaw, people who lack professional knowledge are often the indecisive ones. What do we learn? Sam’s personality teaches that to be a good leader, it is important for you to be updated with the latest developments in your profession. His story also teaches that you need to be fully responsible for all decisions you take. For your team to trust you, they need to know that your decisions are backed by knowledge and wisdom. A true leader exhibits moral courage in dealing with different situations and handles pressure well without letting external or internal factors cloud their judgments. 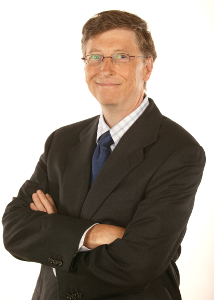 One of the most recognized personalities of our times, Bill Gates is known for creating Microsoft, a household brand. He currently stands as one of the wealthiest people on earth. 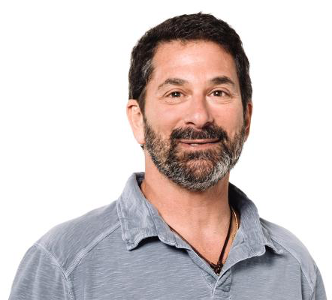 Many people say that his success was mere luck and a sudden shift of fortune – that he had a great idea clicking at just the right time when the technology boom was in its infancy. However, the reality is very different. Before he had anything to do with Microsoft, Gates experience crushing failures. At first, he created a product he called Traf-O-Data, which could analyse data from traffic tapes. The product failed miserably and the company was never able to take off, so Gates moved on to something else, and the rest is history. The Lesson: Gates’ potential was never reflected in Traf-O-Data. This shows that even though your idea seems great, it does not guarantee that it will pan out the way you had hoped. However, this should never put you down, as you should know there are plenty of other ideas that you can find successful. 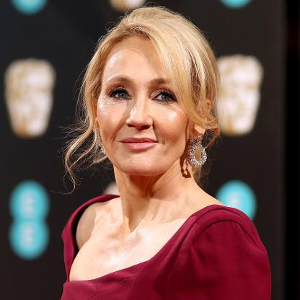 Joanne Rowling is famous for authoring one of the most popular series and children’s (and adult’s) books of all time – the award-winning Harry Potter books (perhaps you’ve heard of them?). In fact Rowling has written many more books – although it’s Potter that she is recognised for. She wrote Harry Potter and the Philosopher’s Stone (published as Harry Potter and the Sorcerer’s Stone in the USA) in Edinburgh, Scotland, whilst living on welfare. The Lesson: What most people don’t know is that JK Rowling was rejected many times (some sources say twelve) before finding a publisher for Harry Potter. At the time, the ‘industry’ said that children’s books must be much shorter and should be on the subject of more modern material (who cares about a boarding school, they said…) But through gritted teeth, determination, and belief, Rowling persevered and didn’t give up. This, despite the publishing industry showing no interest. Just imagine if Rowling had given up, instead of sending her draft into Bloomsbury, the eventual publisher – an action that would end up in her eventually becoming a billionaire? The lesson here is if we believe in ourselves, and our product, don’t give up. Known for his eerily striking stories and masterful horror writing, Stephen King is perhaps the most recognizable novelist of his genre. 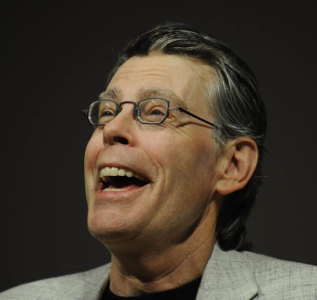 Despite having back-to-back bestsellers churning in millions of dollars, King’s very first novel, Carrie, was a complete failure. The novel was finally published after being rejected a shocking 30 times by various publications. It did lead to King’s breakout career. While King did think about quitting when faced with so many rejections, his perseverance ultimately led to greatness. The Lesson: King’s story teaches that with simple adjustments and a lot of perseverance, you can transform a failure into success. It is important to never give up and see how you can revise and repackage your ideas and how you can target a different audience, redefining yourself and your brand identity. With consistency, you can take a failed concept and turn it into your greatest success. 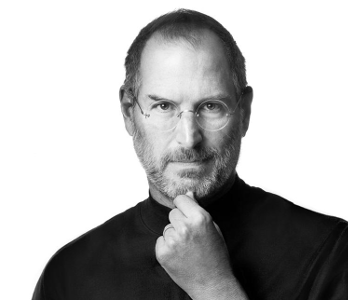 The late Steve Jobs is responsible for revolutionizing the technological innovation in the 21st century. Jobs is the genius behind the huge success of Apple. However, if you look at his past, you would find that it is littered with tons of setbacks, defeats and failures. Jobs launched Apple back in 1975. While the company had a decent start, an unsuccessful product launch in 1985 resulted in Jobs being kicked out of his own company. Any ordinary man would have given up hope at that time, but Jobs was determined to bounce back. He founded a company called NeXT and while this new company was also initially considered a failure, it caught Apple’s eye in 1997. This lead to Apple purchasing the company, bringing Jobs back into a leadership position. What happened next was an explosion of mobile technology and entertainment innovation, as Apple launched breakthrough products such as the iconic iPod and the game changers, iPhone and iPad, all under the leadership of the late Steve Jobs. The Lesson: Jobs teaches that perseverance is everything. If you stay committed to doing great things, there will come a time when you will achieve greatness. You need to work past your professional and personal failures and look forward to your passions. Do you have any stories of leadership that have inspired you? Make sure you share those with us in the comments section.